After Ohio State Buckeyes head coach Urban Meyer released a statement on Friday about his knowledge of alleged domestic abuse by former assistant coach Zach Smith, the fired wide receivers coach said in a radio interview later in the day that he did not physically harm his former wife and that school officials knew about the 2015 allegations. Smith, speaking publicly for the first time since his firing last week after a published report detailed alleged incidents involving his ex-wife, Courtney, told 105.7 The Zone in Columbus that Meyer and athletic director Gene Smith were aware of what went on three years ago. 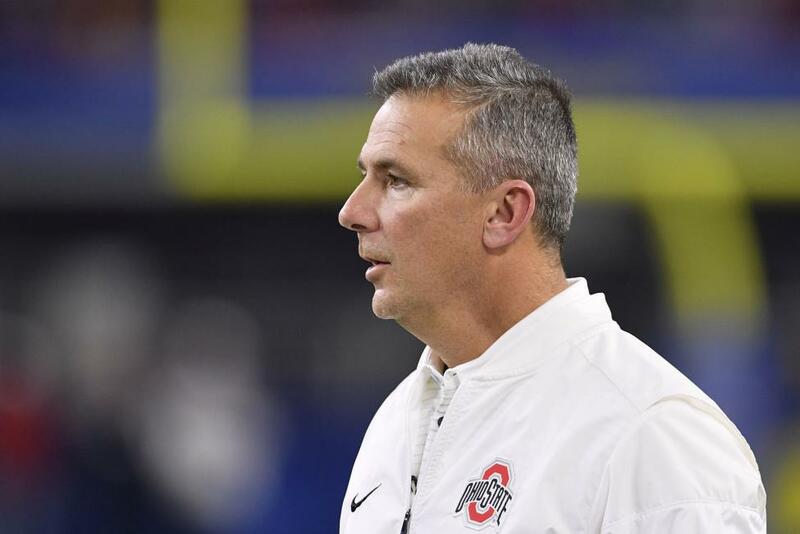 [post_ads]In fact, he said he was called by Gene Smith in 2015 while on a recruiting trip and told to return to campus after the Ohio State athletic department apparently received information from the Powell police in suburban Columbus. "I wasn't a great husband," Zach Smith said in the radio interview. "We got divorced because of it. The only thing that needs to be cleared up is the fact there was never domestic abuse. I never hit her, never got arrested, never got charged. It got investigated twice and no charges came about because I didn't do anything physically to harm her." Reporter Brett McMurphy published photos from Courtney Smith that appeared to show injuries she said she sustained from contact with her former husband. Smith said he did not know the origin of the pictures. He did call the relationship "volatile." "It was toxic and it needed to end," he said. "I've never committed domestic abuse against her. I had to defend myself sometimes, kind of restrain her." The Columbus Dispatch reported that McMurphy tweeted text messages between the Smiths in which he apologized after she referred to him "picking me up by my neck strangling me." ESPN also interviewed Smith on Friday and he said it would be "flat wrong" to fire Meyer, who remains on paid administrative leave. As far as Meyer's knowledge of what happened, Smith said everyone surrounding the Ohio State football program knew about his marital issues. But, he felt he didn't need to burden Meyer with his problems. "I felt it was my private life and didn't feel it was his problem to deal with because it was a marital problem I had," Smith said. But Meyer did have knowledge of Smith's situation, despite comments to the contrary during the Big Ten media kickoff days in July. Smith had told Meyer in 2015 that he did not physically abuse Courtney. He said Meyer warned him, "I swear to God, Zach, if I found out you hit her, you're done, you're fired." As for Meyer's denial at the Big Ten media days in Chicago of what was happening, Smith said, "To be honest, that's all confusing to me. When I heard he had said that at Big Ten media day, my initial response was that he was reacting to the storyline that was put out there that I was arrested on felonious domestic abuse, which never happened. I think to him it was like, 'What? He got arrested for a felony. I didn't know about that.' Because it didn't happen." Smith maintained his innocence, saying he has never been charged by police in Ohio and that nothing he did warrants it. But he said he's disappointed that he lost his job. "It was a move they had to make," said Smith, the grandson of former Ohio State coach Earle Bruce. "I don't think I deserved it. But I don't think it was wrong." The university announced Friday that it is conducting an independent investigation while Meyer remains on paid administrative leave.